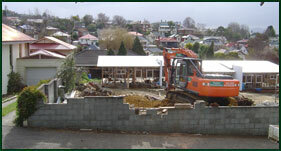 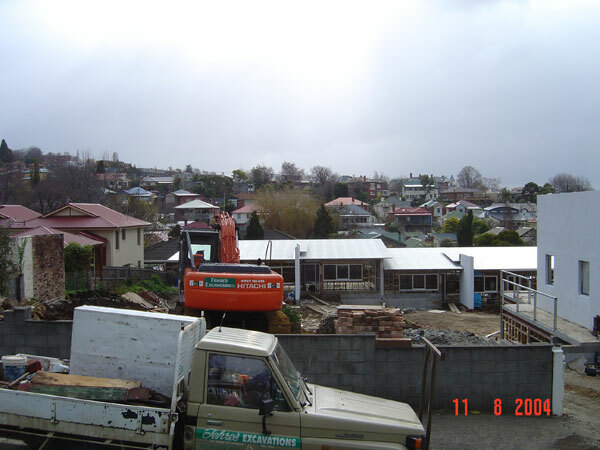 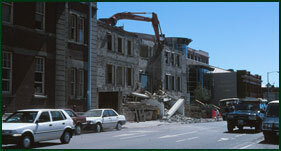 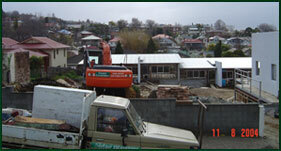 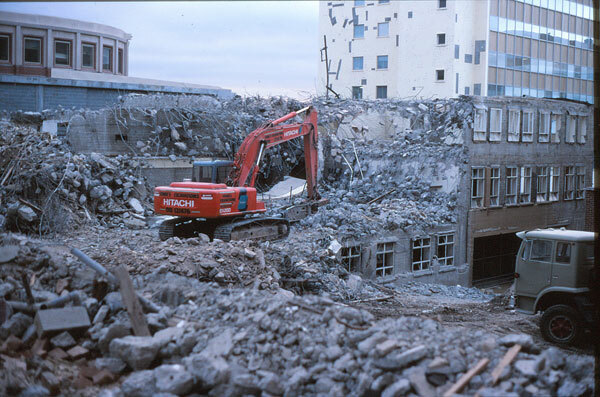 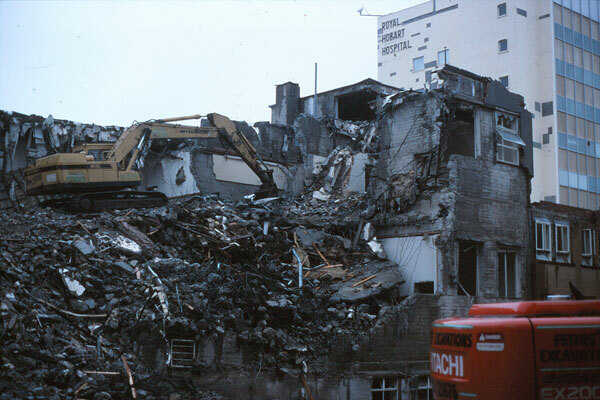 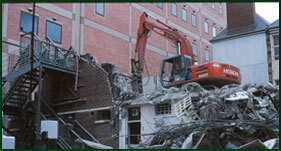 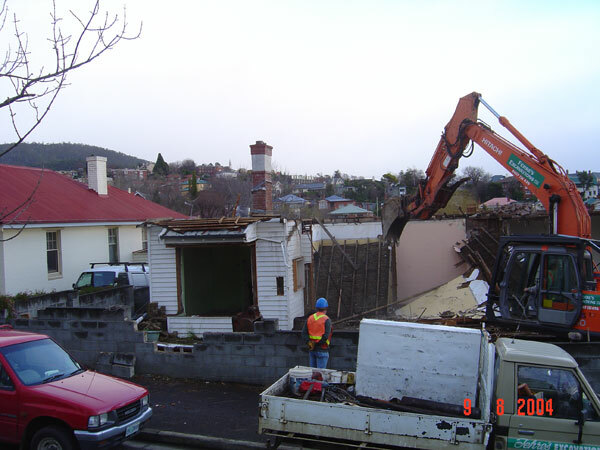 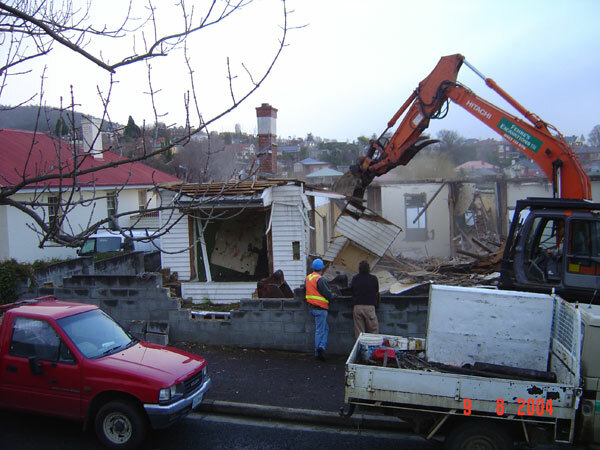 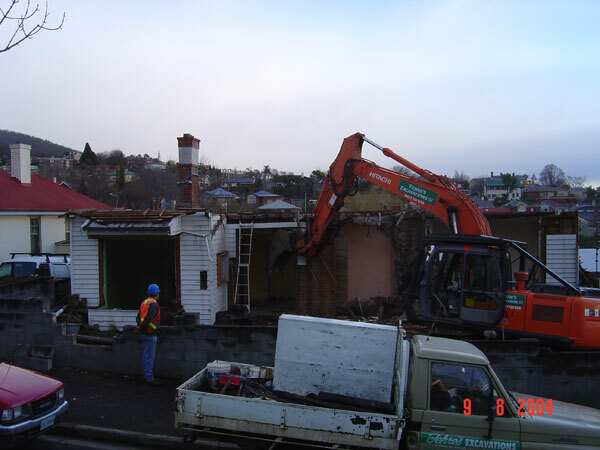 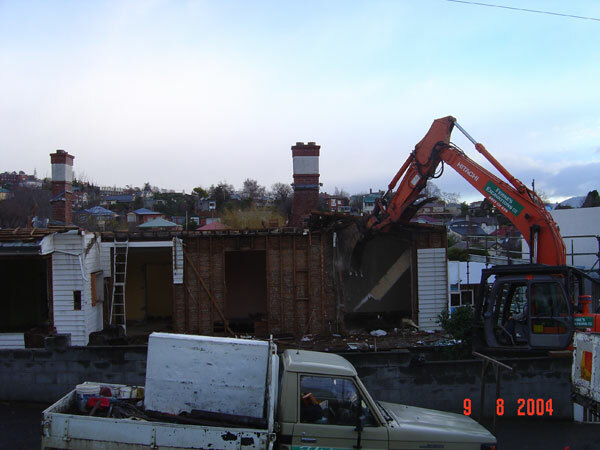 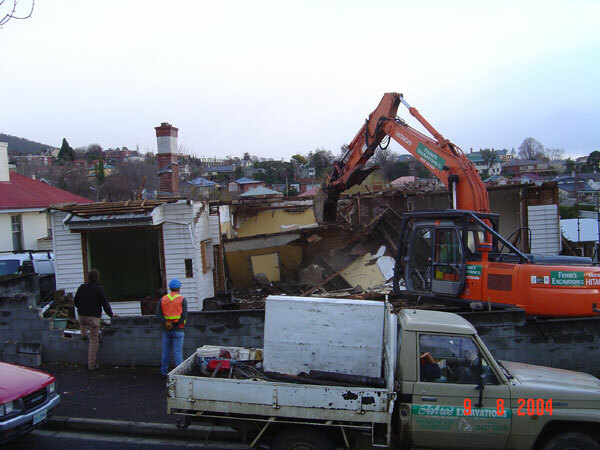 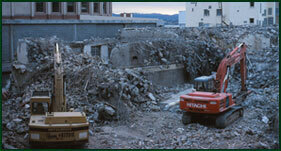 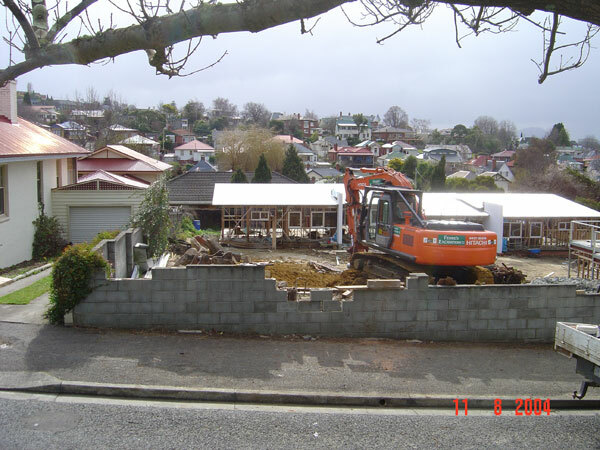 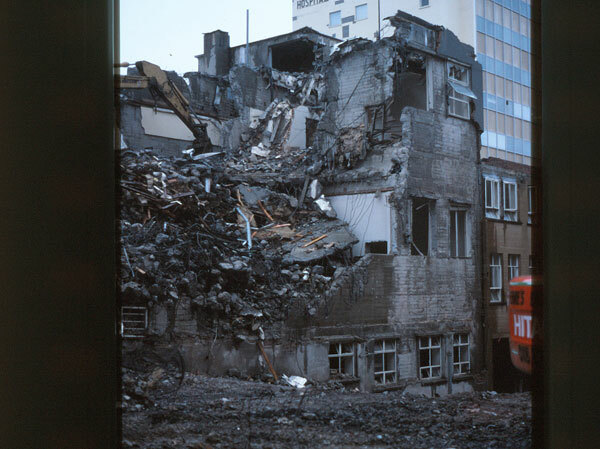 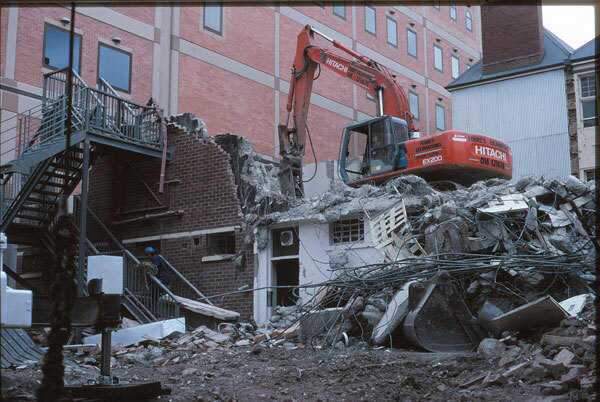 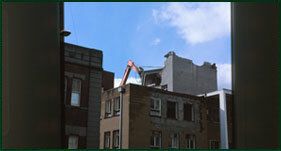 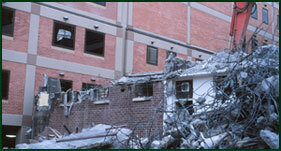 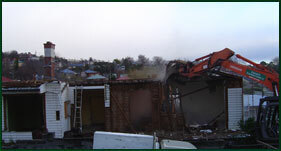 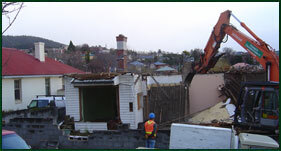 Fehre's Excavations can demolish and remove concrete, masonry and timber buildings. 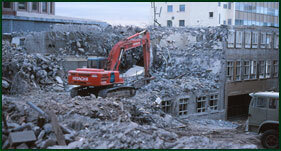 I will even make arrangements for recycling and/or asbestos removal if required. 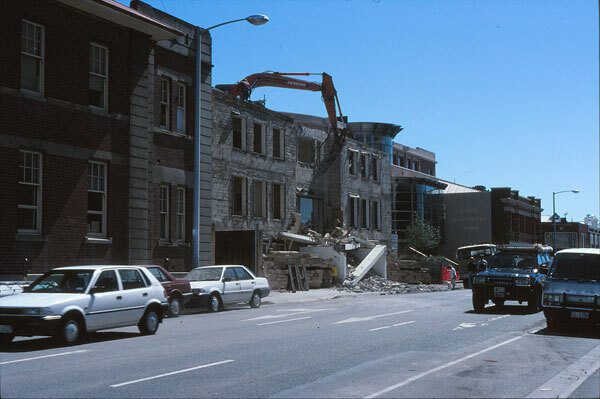 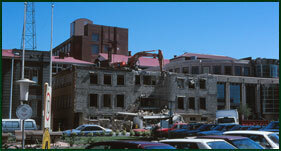 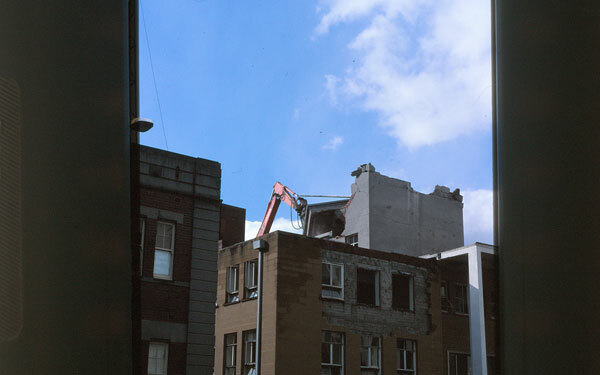 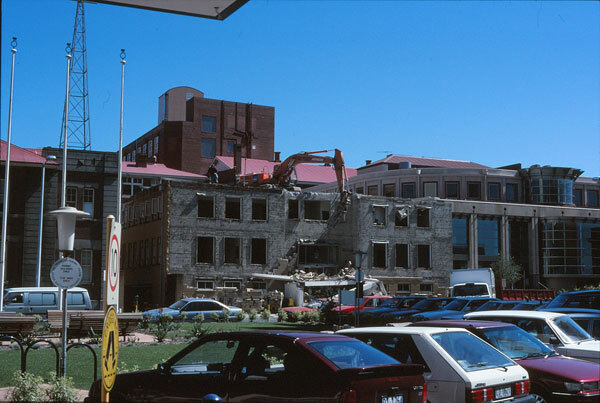 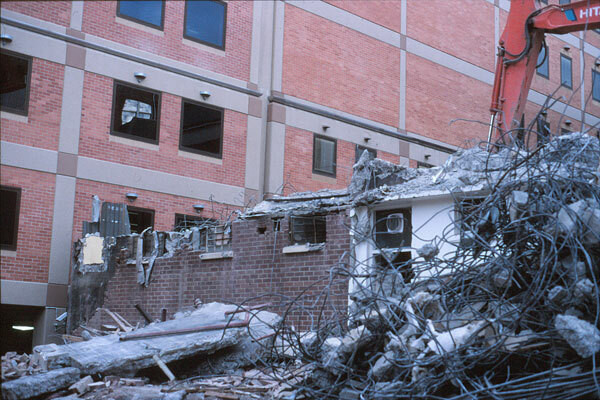 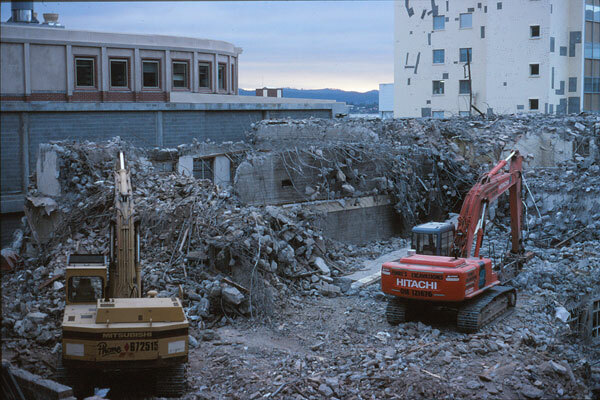 One of my previous jobs was the demolition of the Hobart Law Courts and Remand Centre in Liverpool St, Hobart, opposite the Royal Hobart Hospital. 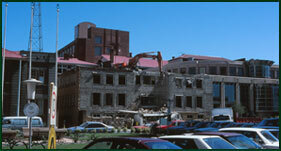 The project was completed with the utmost care of the surrounding buildings and streetscape. 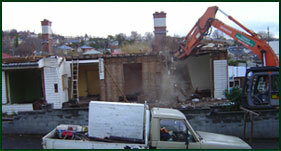 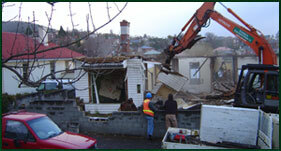 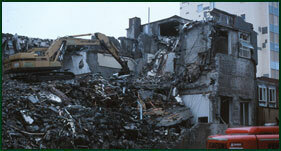 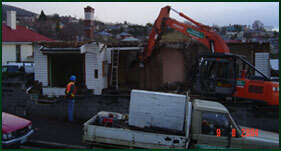 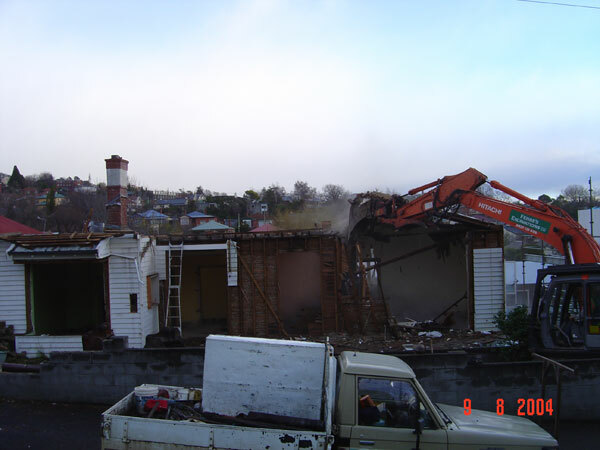 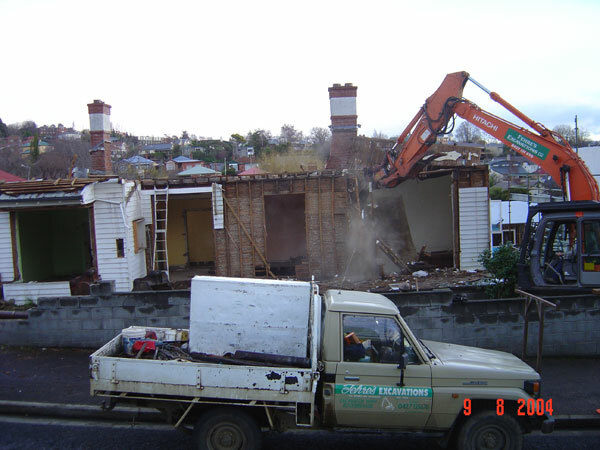 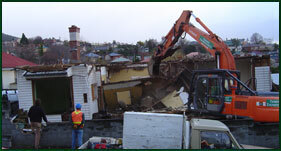 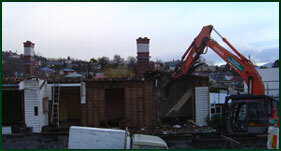 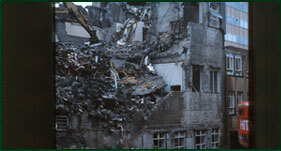 Please contact me with any questions you may have with regards to my demolition services.